Enhanced Small Form Factor Pluggable (SFP+) transceivers use the same physical case format as SFP, but support operating speeds of 8Gbps and 10Gbps. SFP+ optical transceivers are readily available for both multi-mode and single-mode fibre applications and also for copper cable via an RJ45 connector. 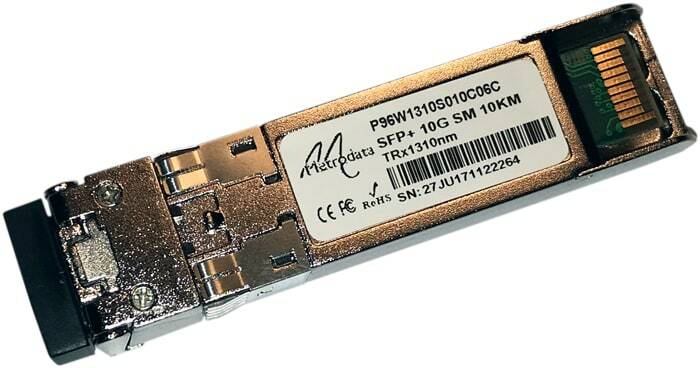 Many other SFP+ transceivers are also available with a wide range of different transmission/reception parameters.